Your valuation must fit within our risk/reward expectations for the investment. Typically, we look for pre-money valuations well below $5 million, from as little as $1 million. It takes unusual situations (e.g., a company with existing revenues, issued patents and demonstrated growth) to get us to consider a pre-money valuation higher than $5 million. Some entrepreneurs are more used to thinking in terms of offering some percent (e.g., 20%) of their company for some amount (e.g., $500K) of financing. Numerically, divide the proposed financing ($500K) by the offered percentage (20%) to get the post-money valuation ($2.5 million), and subtract the money ($500K) from the post-money ($2.5 million) to get the pre-money valuation ($2 million). In determining valuation we take into account the effect of all commitments to issue shares, which is called the fully-diluted number of shares. More specifically, the fully-diluted number of shares includes all shares that you would issue if all unconditional and contingent commitments to issue shares were to be given effect (e.g., exercise of options and warrants, conversion of preferred shares, exchange of debt for equity, etc.). Moreover, we expect a reasonable number of shares to be already reserved (and counted as part of full-dilution) for filling out the key management slots and for other employee stock options. It is important to keep in mind that early stage investors will likely have their equity interest in your company diluted (made smaller) by later investors. 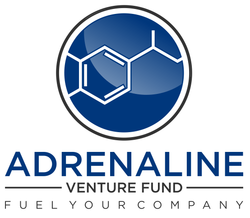 For example, if angel group members invest $500,000 at a pre-money valuation of $1 million (and thus end up owning 33% of the company), and then a venture capital firm invests $5 million the following year at $5 million pre-money valuation, the original angel group investors will now own only half as much of the company, even though the company value has increased more than three-fold. As a result, because of the early stage at which we invest, you should know that angel group members generally receive 20-40% of the companys fully diluted equity in exchange for their investment.